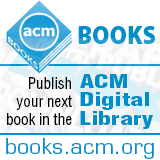 Welcome to the January 5, 2015 edition of ACM TechNews, providing timely information for IT professionals three times a week. The U.S. Federal Communications Commission (FCC) on Friday announced it will hold a vote on new net neutrality rules during its upcoming February meeting. FCC spokesperson Kim Hart says chairman Tom Wheeler will bring the new rules to a vote at the FCC's Feb. 26 meeting. However, it remains unclear what form the new rules will take. There has been intense debate over how the FCC should proceed on net neutrality after a U.S. appeals court last year threw out large parts of the net neutrality rules the agency adopted in late 2010. Since the FCC reopened the issue it has received nearly 4 million public comments, many of which urge the agency to reclassify broadband Internet as a regulated public utility, or common carrier; this is the option favored by President Obama, who called on the FCC to classify broadband as a common carrier in November. However, Wheeler reportedly favors a so-called "hybrid" model, which would classify back-end broadband infrastructure as a common carrier but leave retail broadband access lightly regulated. Efforts by various governments to censor the Internet made headlines in 2014 and are likely to continue in 2015. Last year, Turkey's government briefly shut down Twitter in an effort to stifle online conversations about government corruption. Pakistan reportedly sent 1,800 take-down requests to Facebook in the first half of 2014 and had its own altercation's with Twitter over "blasphemous" and "unethical" tweets. However, Russia is likely to be a flashpoint for Internet censorship issues in 2015, due to a new law that would require Internet companies to store data about users in Russia and allow the Russian government access to it. The law, which goes into effect in September, is likely to be a point of contention between the Russian government and several U.S. Internet companies. Twitter and Facebook, for example, are unlikely to comply with the new law; they have no data centers in Russia and are unlikely to build any there simply to comply with it. In addition, the Russian government will have a hard time enforcing the law against Twitter and Facebook without facing a possible public backlash from Russian users should the services be disabled. Meanwhile, Google is winding down its Russian operations, in part due to the possibility of raids by the Russian government. University of Portsmouth researcher Gareth Owen has been studying a collection of hidden Tor services and found that although child abuse material only makes up about 2 percent of the websites on the dark net, it accounts for 83 percent of visits. The research shows child abuse websites are visited more than five times as often as any of the websites with other kinds of content examined in the study. Owen also found hackers have launched distributed denial-of-service attacks aimed at the child abuse websites in order to take them offline. He studied Tor traffic by setting up 40 "relay" computers, which are volunteer machines used to pass through encrypted traffic around the world in order to obscure its origin in the Tor network. The technique enabled Owen to collect data about the number of visits to about 45,000 hidden Tor services. Owen, who presented his study at the recent Chaos Computer Congress in Germany, says the results strengthen the argument for clamping down on dark net activity. "Before we did this study, it was certainly my view that the dark net is a good thing," he says. "But it's hampering the rights of children and creating a place where pedophiles can act with impunity." IBM researchers say they have developed a new form of computer memory that could help future technology match the capabilities of the human brain in terms of interpreting images or video footage. The researchers used phase-change memory to build a device that processes data in a way modeled after a biological brain. They developed a prototype phase-change memory chip that acts like a network of 913 neurons with 165,000 connections, or synapses, between them. The strength of the connections change as the chip processes incoming data, altering how the virtual neurons influence one another, a property that enabled the researchers to teach the system to recognize handwritten numbers. Phase-change memory is particularly well suited to neuromorphic computer systems because it stores data very densely, making it possible to create brain-inspired systems with many more synapses, according to IBM researcher Geoff Burr. The system is more than 1,000 times larger than previous efforts to use phase-change memory to build neuromorphic systems, which had 100 synapses or less. The researchers say they were able to build a more advanced system because they developed techniques to measure and compensate for the natural variability in the performance of each unit of phase-change memory. The ability of the underlying infrastructure and protocols of the Internet to grow and adapt over time is an increasingly important issue and a team of researchers at China's Tsinghua University are working to develop a framework for an "evolvable" Internet. The team, lead by professor Xu Ke at the Tsinghua National Laboratory for Information Science and Technology, seeks to combine and improve upon two previous theoretical approaches to managing the growth of the Internet, known as the "clean slate" and the "dirty slate" approaches. The evolvable Internet framework is meant to be more flexible and more stable than other models and allow for relatively easy transitions and transformations to the Internet architecture. The evolvable approach is defined by three major constraints: evolvability, economic adaptability, and management. The three constraints are meant to create an Internet infrastructure that will take into account the likely needs for growth and change, the economic circumstances of users and service providers, and the numerous network management issues that are likely to arise. One of the major features of the evolvable model is a flexible Internet address system that would allow native support for multiple regional address systems, rather than a single, worldwide system. Documents released by former U.S. National Security Agency (NSA) contractor Edward Snowden show NSA and other members of the "Five Eyes"--the secret intelligence agencies of the U.S., U.K., New Zealand, Canada, and Australia--are dedicated to subverting encryption and other online security measures. The documents show NSA and its compatriots, as of 2012, already had or would soon have cracked several major encryption standards, although there were several that remained challenging. One of the major encryption standards that remains hard to crack is the two-decade-old Pretty Good Privacy (PGP) encryption protocol, which is still widely used. NSA documents singled out one PGP-based service as one of its most persistent challenges. The documents also show NSA has had wide-ranging success in exploiting the virtual private networks used by corporations and national governments to secure communications. However, the agency has had great difficulty cracking the Tor anonymized Internet browsing service. The documents also reveal NSA has subverted the source code of several encryption protocols to make messages encrypted using them easier to crack. The documents also reveal NSA efforts to crack the Advanced Encryption Standard, the use of which it promotes to other government agencies. The University of Maryland University College's (UMUC) Cyber Padawans recently won the Global CyberLympics, an international cyberdefense competition held in Barcelona, Spain. UMUC's cyberdefense team defeated the defending champion from the Netherlands, which consisted of employees from a professional networking company. The Cyber Padawans qualified for the international competition by finishing first in North America. Computing networking defense competitions are growing in popularity at a time when large companies such as Apple and Sony are facing highly publicized attacks. "It a source of pride for our students that even though they are at a working-adult school, they can beat the best," says UMUC president Javier Miyares. "The Padawans, in winning, are validating the educational experience of working adults." The competitions have become an interscholastic sport at the high school and college levels, notes Rick Forno, Maryland Cyber Challenge co-founder and director of the graduate cybersecurity program at the University of Maryland, Baltimore County. "People are realizing that this is not only a meaningful career field to study, but it's a critical need for national and corporate security," Forno says. Many companies are not waiting for existing organizations to set the standard for the Internet of Things (IoT). Last year saw several new groups form around creating and promoting new IoT standards and protocols and the products of these organizations' labors will start to roll out this year. The AllSeen Alliance got the earliest start, forming in December of 2013. The group's main output is the open source AllJoyn software framework, based on technology from Qualcomm, which enables IoT devices with different operating systems to coordinate with each other and already is making its way into products such as Windows 10. The Open Interconnect Consortium, whose members include Intel and Samsung, is working on open source standards for device discovery, communication, data exchange, and other functions, the first of which are expected early this year. The Thread Group, founded by ARM Holdings, Samsung, and Nest Labs, is focusing on mesh networking for low-power, in-home devices and the Industrial Internet Consortium is concerned with coordinating IoT standards across traditionally disconnected industries. The Institute of Electrical and Electronics Engineers also is pursuing IoT, with a draft of its new standards already available and plans to complete work on it by 2016. Researchers at the University of Electro-Communications (UEC) in Japan have developed a model of the part of the brain that is responsible for fine motor control. The model of the cerebellum, which consists of more than 100,000 neurons, is a large-scale version of a so-called spiking network model. The team implemented the artificial cerebellum on a graphics processing unit, and then connected the model with a small humanoid robot to test whether or not it could teach the robot accurate timing. UEC's Tadashi Yamazaki and the Okinawa Institute of Science and Technology's Jun Igarashi sought to train the robot to hit a ball bowled in real time by a bowling machine. Through repeated practice over time, the robot learned when to raise a bat in order to hit a flying ball. The researchers believe the real-time cerebellum could be used to teach and train robots for different tasks in the future. Lancaster University researchers are launching a project that will take the Internet of Things (IoT) to a rural area of Wales. The project, led by Lancaster researcher Gordon Blair, is exploring equipping sheep with digital collars, placing sensors on riverbanks, and experimenting with rainfall monitors. The researchers will use IoT technology to address problems ranging from flooding and agricultural pollution to animal movements and drought. Sheep equipped with digital collars acting as hotspots could be a solution to typically poor broadband speeds and network coverage in the most rural regions of the U.K. Riverbanks equipped with sensors could monitor river levels and warn of floods. "Cities have been the focus of much of the boom in this type of technology--it has been used to keep traffic flowing on our roads, monitor air pollution, and even help us find a parking spot on a busy Saturday afternoon," Blair says. "But the countryside faces challenges of its own, from subtle environmental changes to catastrophic events such as flooding." He says the next phase of research involves identifying precisely what will be of most use in the short term and how we will frame the project. University of Arkansas professors Viswanath Venkatesh and Hartmut Hoehle developed a model based on customer reactions to large-scale data breaches and found that overcompensation of affected customers may only raise suspicions rather than satisfy customers' sense of justice. The researchers validated the model in a study of Target's data breach in December 2013. Although organizations may feel pressure to invest in breach remediation due to dissatisfied customers, widespread media attention, and competitors previously choosing to react that way, the researchers found responses from participants in the model indicate the strategy may not solve the problem. One strategy Target customers responded favorably to was a 10-percent discount on purchases. The model showed this compensation effectively restored justice, which positively affects customer sentiment, when the researchers focused on the critical outcomes of continued shopping intentions, positive word-of-mouth, and online complaints. However, the response to free credit monitoring was mixed because it raised suspicions about the scale of the breach. The researchers believe the model could serve as a helpful tool for organizations facing large-scale data breaches. "Our findings demonstrate that firms should carefully consider response strategies and associated investments to a large-scale data breach," Venkatesh says. Actress Keira Knightley will provide young women with a role model that could help change the face of computer science and other science, technology, engineering, and math fields, suggests Girls Who Code CEO Reshma Saujani. Knightley plays the character of Joan Clarke in "The Imitation Game," a film about the pioneering computer scientists who built a machine to crack Germany's Enigma code during World War II. Clarke is the lone woman in the group, and she encounters challenges that women face when trying to make a name for themselves in male-dominated fields. Alan Turing designs a test to identify the brightest cryptologists, but Clarke is repeatedly told women can only apply for a secretary position in another room. Clarke eventually is allowed to stay, and she becomes the first person to complete Turing's test and wins a spot on his team. Saujani says movies and the media can do a lot to help change perceptions about women in technology. "We really need to influence culture and so girls need to see women who they admire who look like them doing the very things they don't think they can do," she says.